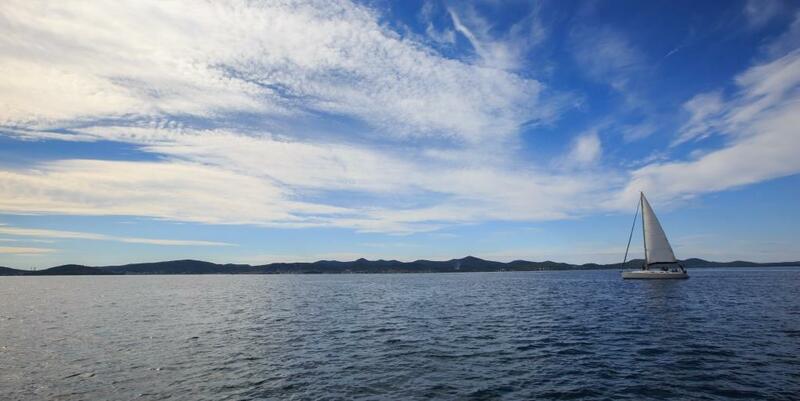 The favourable geographical position, mild climate and long history of several thousand years of navigation in the region, have made Zadar and its archipelago one of the most desirable destinations to all sailors. Maritime High School Zadar is launching the SEA project (Sailing & Education at the Adriatic), which offers a unique programme that links together education and sport. The school has all the necessary resources and experts for implementing this type of programme. Many years of experience in educating generations of sailors give our school the authority in this area, and our instructors are experienced sailors licensed for education. The project offers multi-day programmes of different levels depending on the duration. Except for the professional teaching on parts of the ship, the ship’s equipment, basics of sailing and navigation, practical work on the sailing boat will also be implemented. The project beneficiaries are young people, pupils and students aged 16-26 years, primarily from European countries. A certain interest in such programmes already exists among other schools in Europe, thus this programme in particular represents an opportunity for school networking and exchange of experiences. After completing the programme, the course participants will obtain a diploma certifying their participation in training and the sailing experience they have gained (which will be different depending on the duration of the programme attended), i.e. skipper licence. The programme will be implemented in the period from 15 April to 15 September, and it includes staying on the boat which can accommodate 6 to 8 participants and skippers. Self-managing the sailboat among children and adolescents directly affects the development of self-discipline and self-reliance, and the usage of exclusively their own abilities when opposing to the wind and waves influences the development of their motor skills, especially those most important: coordination, balance, flexibility and speed.